This genus is accepted, and is native to Europe, Asia-Tropical, Africa, Falkland Island, Tuamotu, Southern America, Australasia, Northern America and Asia-Temperate.. Seeds few or many, ellipsoidal or suborbicular, affixed by the inner flat or concave surface, reticulate, sometimes almost smooth, or rugulose on the back, often with a thickened or keeled margin. 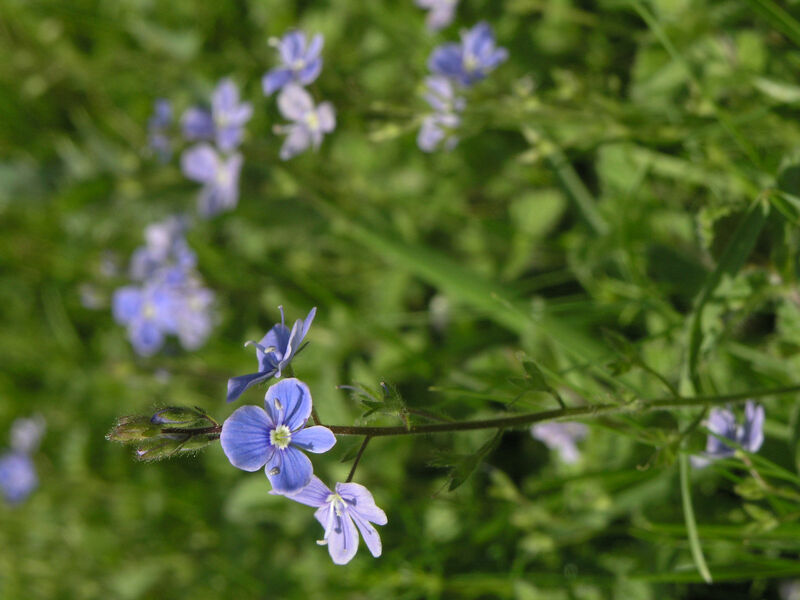 It is surprising that only one of the temperate European annual “speedwells” of cultivated ground and lawns has been reported from the Flora area. Others likely to occur are V. polita L., V. peregrina L., and V. arvensis L. Several species are cultivated as ornamental shrubs in upland gardens and parks: V. longifolia L., V. salicifolia Forst.f., V. speciosa A.Cunn., V. spicata L., and the shrubby species often referred to Hebe. Annual or perennial herbs, erect, prostrate or decumbent, glabrous or pubescent. Leaves opposite or occasionally verticillate or scattered, entire or variously dentate or crenate. Flowers in terminal or axillary racemes or rarely solitary-axillary, bracteate. Calyx 4- or 5-partite; where present, fifth posterior lobe usually smaller. Corolla 4–5-lobed; tube short, rarely exceeding calyx. Stamens 2, perfect, exserted; inserted on corolla tube at sides of upper lobe; anther-thecae divergent or parallel, obtuse. Capsule compressed or turgid, bisulcate, loculicidal. Veronica americana (Raf.) Schwein. ex Benth. Veronica arguteserrata Regel & Schmalh. Veronica barrelieri H.Schott ex Roem. & Schult. Veronica biloba schreb. ex L.
Veronica capitata Royle ex Benth. 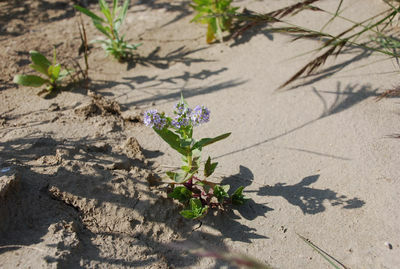 Veronica cardiocarpa (Kar. & Kir.) Walp. Veronica crinita Kit. ex Schult. 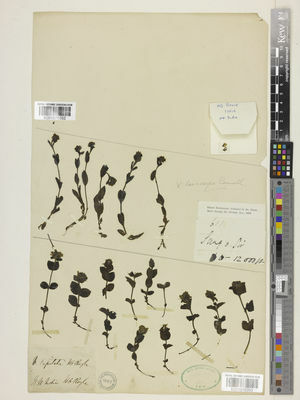 Veronica dabneyi Hochst. ex Seub. Veronica daranica Saeidi & Ghahr. Veronica deltigera Wall. ex Benth. Veronica fragilis Boiss. & Hausskn. Veronica fuhsii Freyn & Sint. Veronica grosseserrata B.G.Briggs & Ehrend. Veronica gunae Schweinf. ex Engl. Veronica hulkeana F.Muell. ex Hook.f. 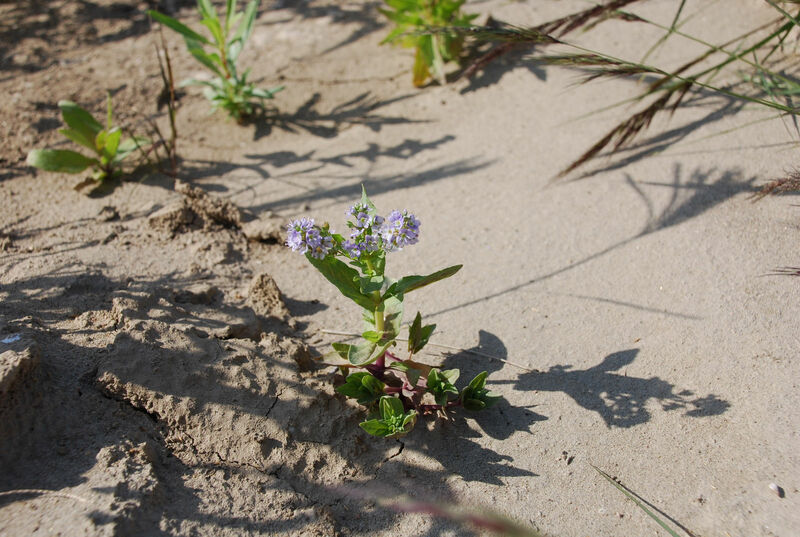 Veronica kopetdaghensis B.Fedtsch. ex Boriss. Veronica kopgecidiensis Öztürk & M.A.Fisch. Veronica laeta Kar. & Kir. Veronica lanosa Royle ex Benth. 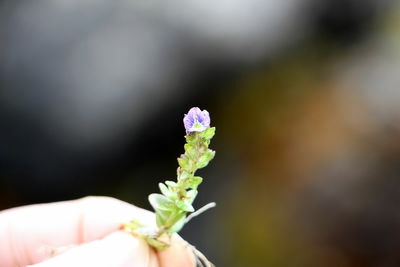 Veronica lanuginosa Benth. ex Hook.f. 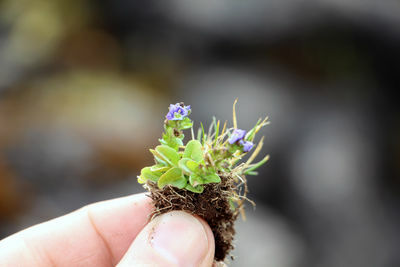 Veronica linearis (Bornm.) Rojas-Andrés & M.M.Mart.Ort. Veronica × major (Benth.) Wettst. Veronica mampodrensis Losa & P.Monts. Veronica notabilis F.Muell. ex Benth. Veronica onoei Franch. & Sav. Veronica pontica (Rupr. ex Boiss.) Wettst. Veronica pubescens Banks & Sol. ex Benth. Veronica pusilla Hohen. & Boiss. ex Benth. Veronica rhodopea (Velen.) Degen ex Stoj. & Stef. Veronica sibthorpioides Debeaux ex Degen & Herv. Veronica sobolifera B.G.Briggs & Ehrend. Veronica stricta Banks & Sol. ex Benth. Veronica stylophora Popov ex Vved. Veronica subtilis B.G.Briggs & Ehrend. Veronica syriaca Roem. & Schult. Veronica teucrioides Boiss. & Heldr. Veronica trichadena Jord. & Fourr. Andrés-Sánchez, S., Rico, E., Herrero, A., Santos-Vicente, M. & Martínez-Ortega, M.M. (2009). 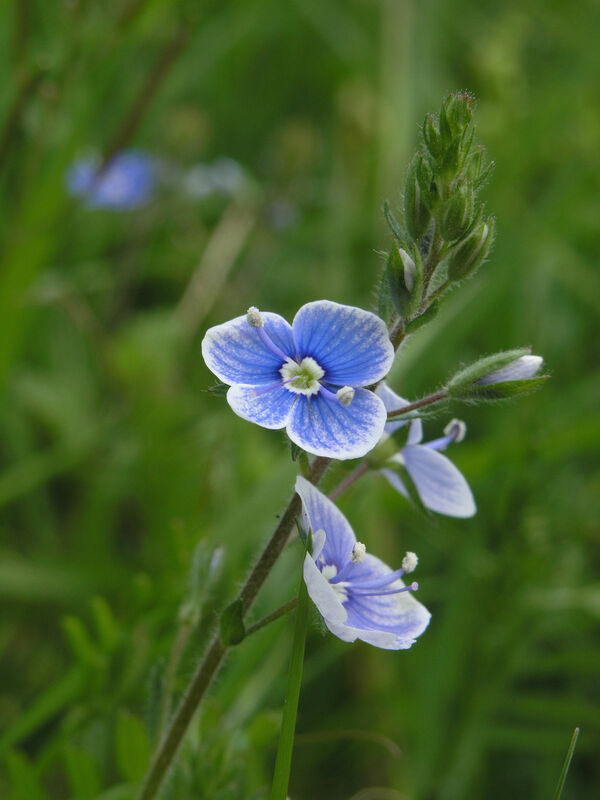 Combining traditional morphometrics and molecular markers in cryptic taxa: towards an updated integrative taxonomic treatment for Veronica subgenus Pentasepalae (Plantaginaceae sensu APG II) in the western Mediterranian Botanical Journal of the Linnean Society 159: 68-87.